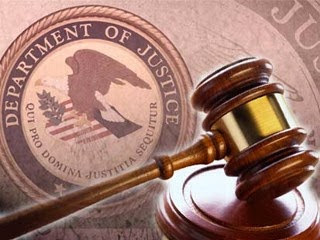 A former New York businessman, who disappeared the same day a federal jury sitting in the U.S. District Court in Newark, New Jersey, began deliberating in his tax evasion and fraud trial, was caught while in Greece more than 18 years after his conviction, and appeared in federal court in the District of New Jersey on Friday, July 17, announced Acting Assistant Attorney General Caroline D. Ciraolo of the Justice Department’s Tax Division. The task force included attorneys from the Tax Division and agents from the IRS Criminal Investigation and Examination Divisions, the FBI, the U.S. Department of Transportation and the New Jersey State Department of Taxation and Finance. Seth D. Uram, formerly a Trial Attorney in the Tax Division and now an Assistant U.S. Attorney in Portland, Oregon, and Trial Attorney Charles A. O’Reilly of the Tax Division prosecuted the case. Acting Assistant Attorney General Ciraolo thanked the Department of Justice’s Office of International Affairs, the FBI’s New Jersey Field Office and the Greek Ministry of Justice for their assistance in apprehending and extraditing Misulovin. Ciraolo also thanked the U.S. Attorney’s Office of the District of New Jersey for their substantial assistance.